If you haven’t figured it out by now, carbs are basically my best friend. On a recent trip to Paris, I had some of the best brioche that I have ever tasted. Light, fluffy, rich. I decided that I needed to knead up a version of my own. 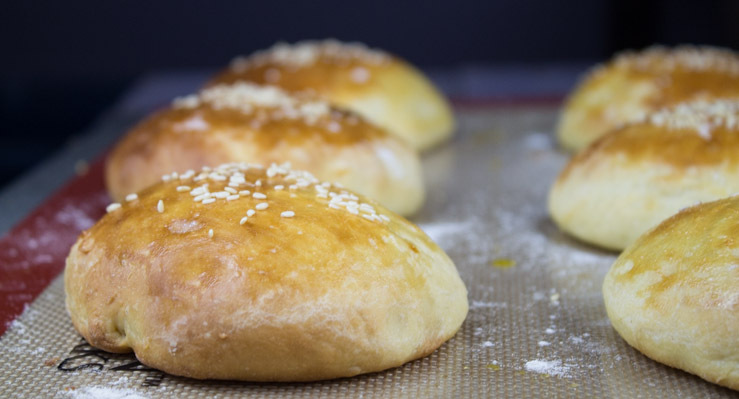 Brioche Buns to the rescue! A couple months back, I took off on a little European adventure. I had planned on posting a bit more about my stops in London and Paris, but sorting through the 6,000+ pictures (seriously…) has been a daunting task. Slowly but surely, I am getting there. 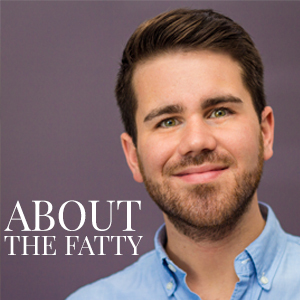 As I do, I hope to share some of my favorite bites (and my own recipe twists) from along the way. 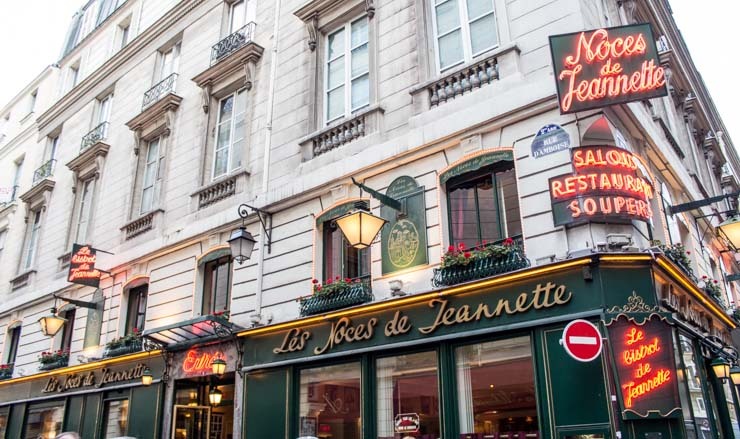 Nestled in the previously predominate banking area in the 2nd Arrondisement (districts of the city), Jeannette sits on the corner of Rue D’Amboise (the street of Amboise). For a bit of history on the namesake– Amboise is a small market village that once was home to the Royal Court of France. 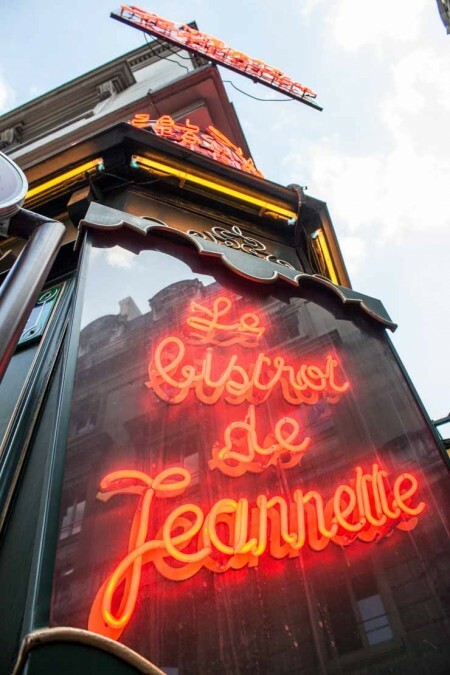 Having studied French in College, deciphering the menus at the million stops that I made was a cold reminder that I need to return more often to brush up. To study (read: eat), ya know. I stopped into Jeannette and selected a couple of the bouchées chaudes (hot bites). My choices were small brioche-based tarts with various fillings. My picks were filled with spinach/cheese and smoked salmon with a perfect café au lait on the side. If I had ever wanted blogs to have smell-a-blog™, this is the time. I can’t even begin to explain how perfectly made these were. The egg-based brioche was firm to the touch but light and fluffy inside, just as it should be. I had to try to make these (or at least something to put me on the path to making these eventually) at home. Back to the daily grind at home, I finally opened my little notes app on my phone and started browsing through the ridiculously large list of ideas of bites to make at home. I’ve always been inspired by classic French pastry and the insane attention to detail and process. It’s such a technical way of baking. I think that’s probably exactly why it interests me so much, being a Scientist and all. Brioche. I’ve made a few simple brioche-based things in the past, but wasn’t quite feeling like jumping into making an intrinsic, brioche-based pastry at the time. Another day. 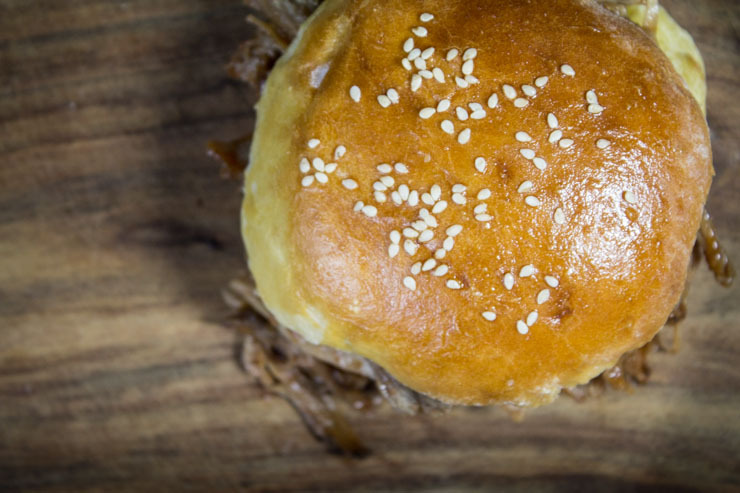 For now, let’s keep it super simple and just go for a delicious brioche bun. The egg-base of this bread goes so well with burgers. I happened to have some perfect local beef ready for these. Technically, brioche is a Viennoiserie. This category of pastry/bread just means that it originated from Vienna. Typically, treats from this group include dough that is laminated, yeast-risen, butter-filled, and generally served in the morning as a sweeter (think European sweetness here, not corn syrup sweet tea Southern sweet…) choice. Sounds good to me! 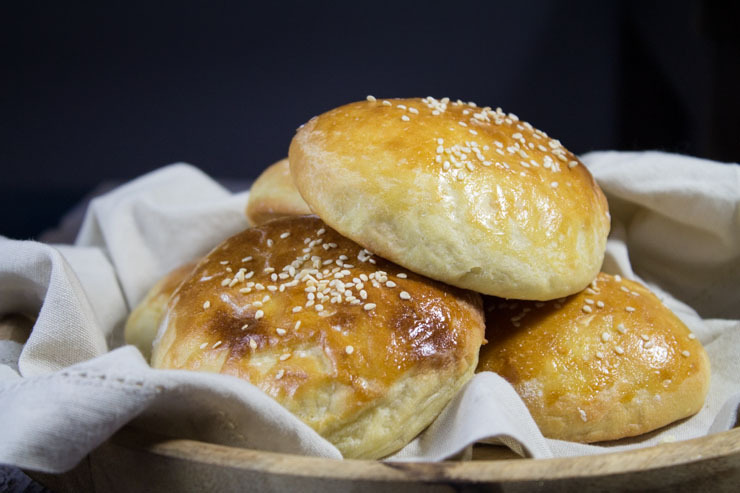 Sneak Peek into Another Delicious Brioche Bun Use Coming Up Soon! These are perfect with a bit (more) butter as dinner rolls. Or you could do what I did and toss on your favorite burger and enjoy! Bon appétit! SUBSCRIBE to our e-mail updates to see what I ended up putting inside this golden pillow of delicious in the very near future! Delicious, rich brioche buns by SouthernFATTY.com. In mixer bowl, combine water, milk, sugar and yeast. Let sit 5 minutes to rehydrate and activate. In another bowl, work flours (both bread and AP), salt, butter together until combined well and resembles coarse cornmeal. Slowly mix in flour to mixer bowl with yeast. Mix in 1 egg. Combine well and mix on medium low with dough hook for about 8 minutes to smooth. The dough may appear sticky. This is fine. Form into ball and leave in bowl. Cover with plastic or towel. Let rise in warm area until doubled. This took 1 and ½ hours for me, but depending on your conditions could take an extra hour. This step is critical. Be patient and have a drink or three. 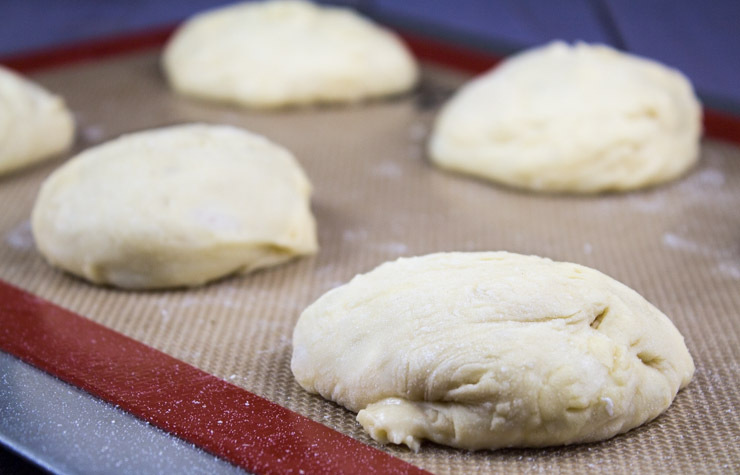 After risen properly, remove onto lightly floured surface and divide evenly into small balls. You should aim for about 8-9 balls. Place a few inches apart on lined baking sheet. Spray very lightly with non-stick/oil and cover with plastic again to rise for another 1-2 hours. The balls should look puffy when ready. 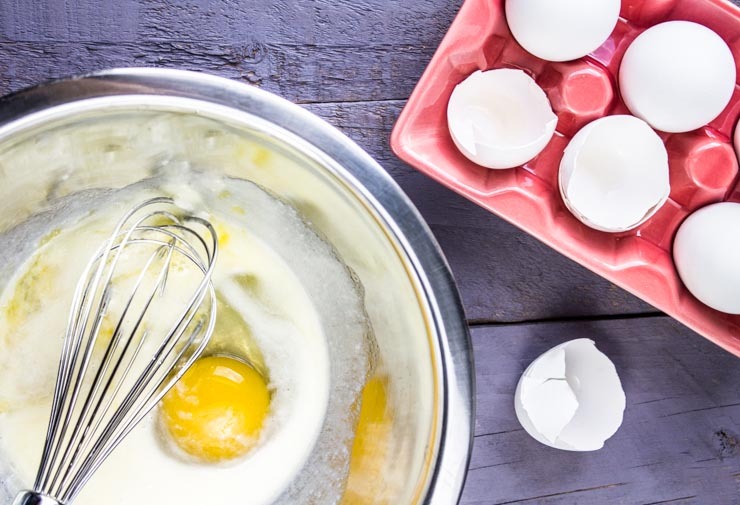 Carefully remove plastic wrap and wash tops with remaining egg. SUBSCRIBE to our e-mail updates to see what I ended up putting inside this golden pillow of delicious in the very near future (and for more pictures from my Europe trip!). I was wondering if you thought it would behoove a baker making these to use a mold for the buns since it looks like they don’t have much to the sides once baked. It was the croissants that killed me when I went to Paris. I think I gained 10 pounds! They are nothing like the ones we have here – amazing! I would have picked the spinach cheese and smoked salmon ones too. Can’t wait to hear more about your France trip! I have never made my own hamburger buns, I’m so impressed). BTW, when you change your site, please keep your tag line. Spinach seems fitting, for some reason 😉 Def keeping it!